Welcome to TOHP (Turkish Oak Habitat Project) Homepage!.. In 4-6 of September our team member Nicklas Jansson attended the “Wood Pastures” conference in Sheffield, UK. Nicklas Jansson presents our results from studies of beetles and birds in Turkish oaks forests. 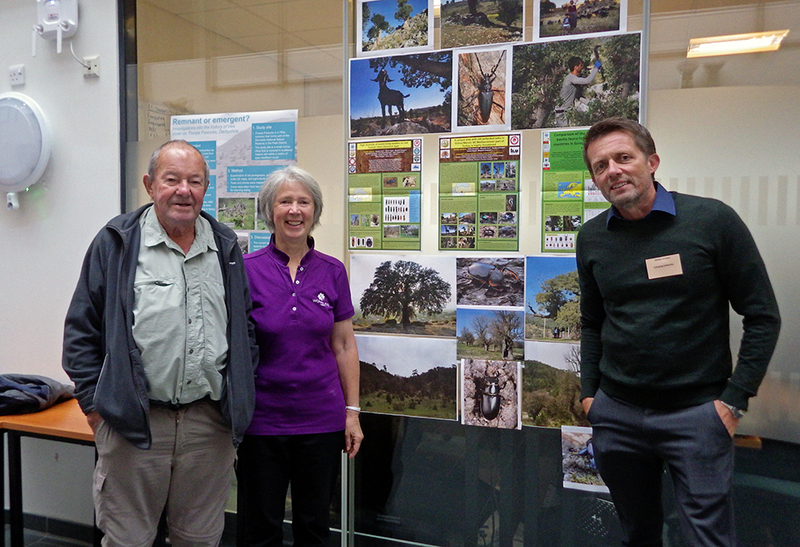 Posters’ section with tree specialists from the organisation “Ancient Tree Forum”, Ted Green and Jill Butler. Ted Green and Sarah Henshall from the organisation “Buglife” working with threatened in UK. In 8-10 of June our team members Mustafa Avcı, Nicklas Jansson and Serdar Göktepe attended the 10th Symposium on the Conservation of Saproxylic Beetles in St Oswald Bavarian Forest National Park in Germany. A new study of the wood living beetle fauna in Gülnar region during 2017. In the end of April window traps was set in 60 pollarded oaks. The aim with the study is to learn how important the age of the trees is for the beetle diversity. The Phd student Serdar GÖKTEPE from Mersin University will manage the study in field. Nicklas Jansson has been participated and made a presentation at the “International Oak Workshop” on October 18-20, 2016 in Igneada / Kirklareli / Turkey. Our group was created in 2005 at Çukurova University in Adana while starting up the first beetle study of saproxylic beetles on old hollow Oaks in Mersin region. We are a group of biologists and foresters loving old Oaks and their species richness, giving a great part of our time to study and spread knowledge about what we learn and finds. We all want to save the richness of flora and fauna of Turkish Oaks from extinction. 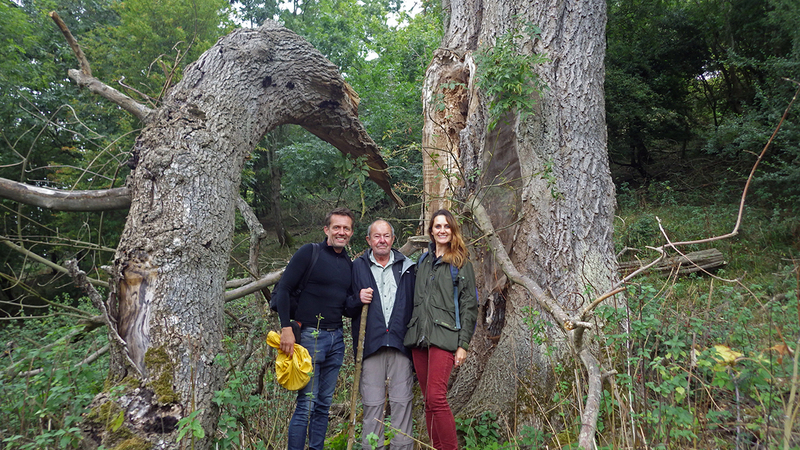 02.04.2019 - New publication: "Fine-scale habitat utilization by birds in an ancient oak (Quercus spp.) wood-pasture in southwestern Turkey" published at Turkish Journal of Forestry, 2019, 2019, 20(1): 1-7. Added on publications section. 10.01.2019 - New publication: "Overview of the bird diversity in oak (Quercus spp.) forest habitats in Isparta province, southwestern Turkish Anatolia." published at Turkish Journal of Forestry, 2018, 2018, 19(4): 347-354. Added on publications section. 01.01.2019 - New publication: "Perspective on forest biodiversity indicators for protected areas: a comparison of Turkish and Swedish forest expert opinions." published at Applied Ecology and Environmental Research, 2018, 16(3): 3595-3609. Added on publications section. 04-06.09.2018 - Our team member Nicklas Jansson attended the “Wood Pastures” conference in Sheffield, UK. 25.06.2018 - Our team members have written a chapter in a book about old trees, run by Prof. Alper Colak at Istanbul University. 08-10.06.2018 - Our team members Mustafa Avcı, Nicklas Jansson and Serdar Göktepe attended the 10th Symposium on the Conservation of Saproxylic Beetles in St Oswald Bavarian Forest National Park in Germany. 22.05.2018 - Our team member Nicklas Jansson at Swedish national news telling about the importance of biological diversity. 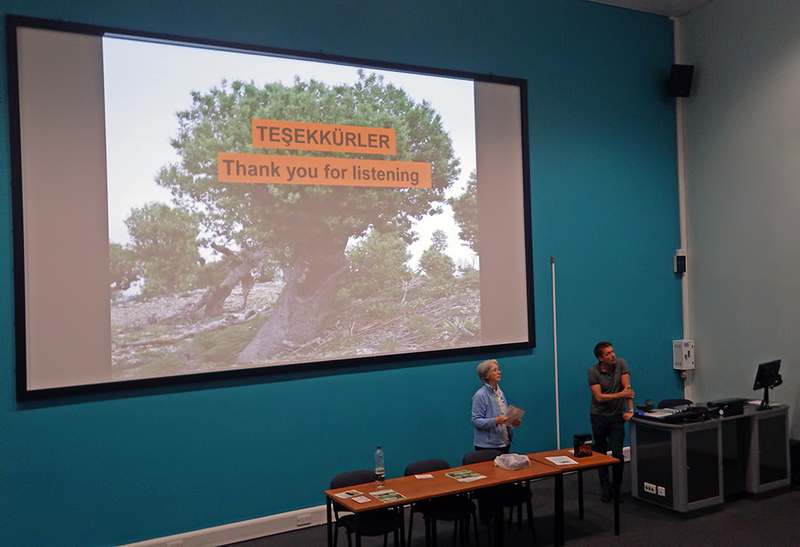 18-20.10.217 - Our team member Nicklas Jansson made a presentation at the international forest conference ISFOR in Isparta 18-20 October 2017 about "Turkey's Oak Forests are Important for Biodiversity". Abstract here. 01.10.2017 - New study visit: In July 2017 a tour for taking photos of oak habitat, trees and insects in Gülnar region was made. A travel report can be found here. 01.09.2017 - New study: A new study of the wood living beetle fauna in Gülnar region during 2017. In the end of April window traps was set in 60 pollarded oaks. The aim with the study is to learn how important the age of the trees is for the beetle diversity. The Phd student Serdar GÖKTEPE from Mersin University will manage the study in field. 01.01.2017 - New publication: "Attributes of trees used by nesting and foraging woodpeckers (Aves: Picidae) in an area with old pollarded Oaks (Quercus spp.) in the Taurus Mountains, Turkey" published at Zoology in the Middle East, 2016, ISSN: 0939-7140 (Print) 2326-2680. Added on publications section. 01.11.2016 - New poster ("Influences of Forest Type on Birds of Oak (Quercus spp.) and Pine (Pinus spp.) Stands in Southwestern Turkey") presented by Nicklas Jansson at the "International Oak Workshop" on October 18-20, 2016 in Igneada / Kirklareli / Turkey. Added on posters section. 24.10.2016 - Our team member Nicklas Jansson hold a presentation at Swedish Research Institute in Istanbul about "Old Oaks in Turkey - a unknown treashure" at 24 of October 2016. 18.04.2016 - Our ornithologist team member Adam Bergner and PhD Student Serdar Göktepe from Faculty of Forestry at Süleyman Demirel University in Isparta have just started up a new project about the bird diversity of Turkish oak habitats. The field work is being carried out in the ancient oak landscapes near Gülnar in Mersin Province. 13.04.2016 - Sorting of the beetle material from our trap studies on old hollow oaks in Gelendost, Eğirdir has started. So far, the results look promising! 01.02.2015 - A new book "Vägarnas träd – om trädens skötsel, värdefulla strukturer och följearter." about biodiversity and management of old trees written by Nicklas Jansson. Added on publications section. 15.01.2015 - New article about the bird diversity of Turkish forest habitats named “Influences on bird assemblages of forest type and habitat structure of oak (Quercus spp.) and pine (Pinus spp.) stands in southwestern Turkey” has just been published in the journal “Forest Ecology and Management”. Added to publications section. 31.12.2014 - New publication that named as "Click-beetles (Coleoptera, Elateridae) from two oak forests in Turkey" will be published at Boletín de la Sociedad Entomológica Aragonesa (S.E.A. ), No: 55. Added on publications section. 08.12.2014 - Three new beetle species (Mycetochara kazdagica, Melanotus balikesirensis, Elathous tezcani) found in Turkey. 15.06.2014 - New poster ("Comparison of the oak living saproxylic beetle fauna from trap studies in 10 countries in Europe and Mediterranean region") presented by Nicklas Jansson at the 8th Symposium on the Conservation of Saproxylic Beetles at Natural History Museum on June 13, 2014 in Basel / Switzerland. Added on posters section. 01.06.2014 - New poster ("Influences of forest type and habitat structure on bird assemblages of oak (Quercus spp.) and pine (Pinus spp.) stands in southwestern Turkey") published by Adam Bergner as his Master Thesis Project's Poster at Linköping University on May 23, 2014. Added on posters section. 07.04.2014 - New poster ("Kazdağı National Park in NW Turkey revealing its entomological treasures") published at 2nd Turkey Forest Entomology and Pathology Symposium in Antalya on April 7-9, 2014. Added on posters section. 03.04.2014 - New publication about new beetle species (Hister arboricavus) which is found in Turkey published at Baltic Journal of Coleopterology Volume 13, No. 2 (2013). Added on publications section. 26.10.2013 - New beetle species (Hister arboricavus) found in Turkey.